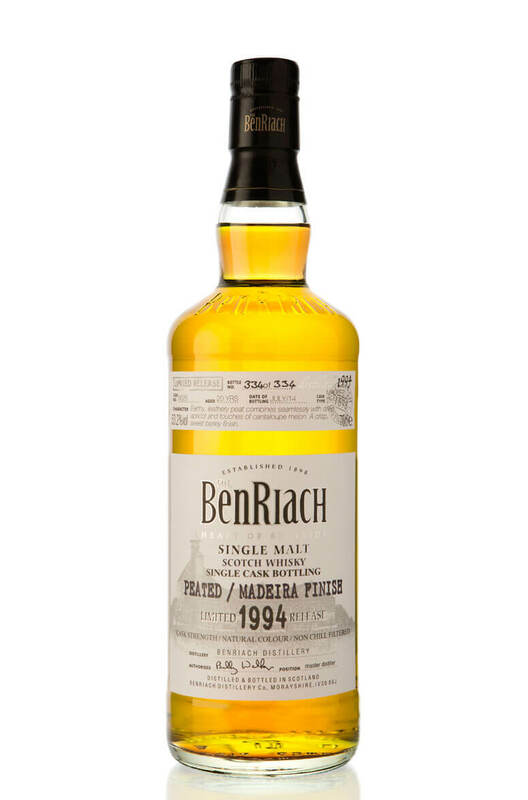 A peated expression of Benriach that has been finished in a Madeira wine cask. This comes from the 11 series of single cask releases and the cask yielded 334 bottles. Nose Sweet campfire wood smoke engulfs orchard fruits dusted with barley grist. Palate Earthy, leathery peat combines seamlessly with dried apricot and touches of cantaloupe melon. A crisp, sweet barley finish. Types of Barrel used for Aging Finished in a Madeira wine barrel.